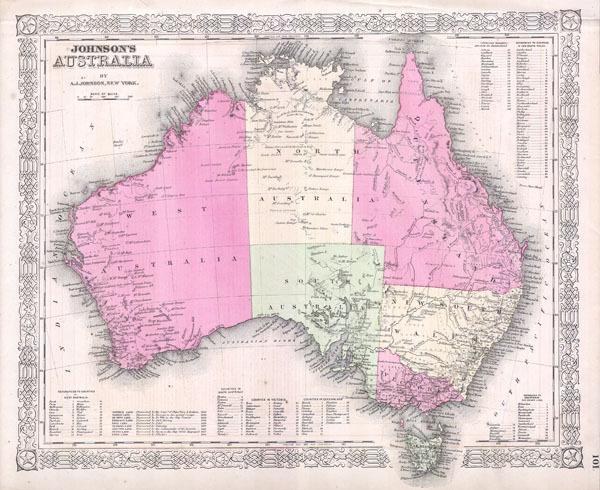 This magnificent 1865 hand colored map of Australia was published by American mapmaker A. J. Johnson. Possibly the finest mid 19th century American map of Australia ever published. Depicts the continent detailing both political and geological features – dry river beds, lost rivers, mountains, etc. Represents the third state of the Johnson's Australia series.